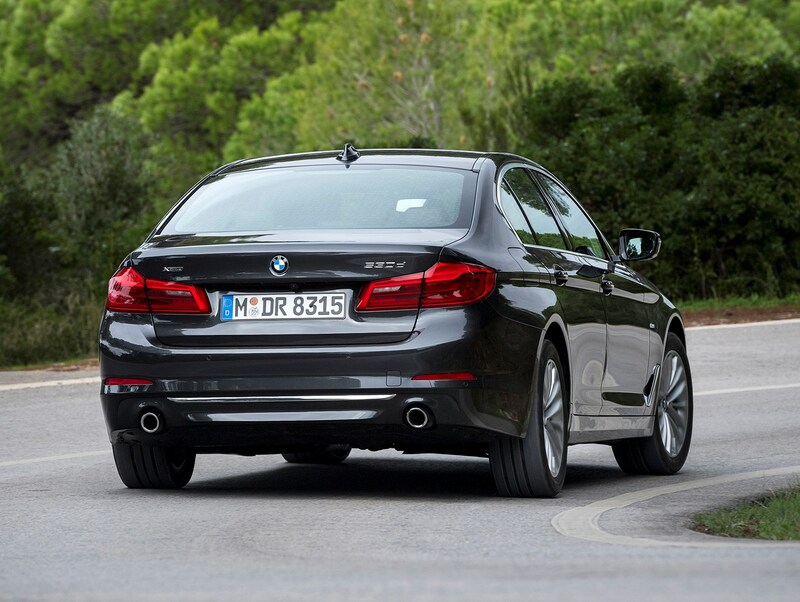 All versions of this 5 Series are powered by engines from BMW's ‘modular’ family – which means regardless of the number of cylinder (four or six at launch) and whether they drink petrol or diesel, they’re all fundamentally related and all fitted with turbochargers for increased performance and efficiency. 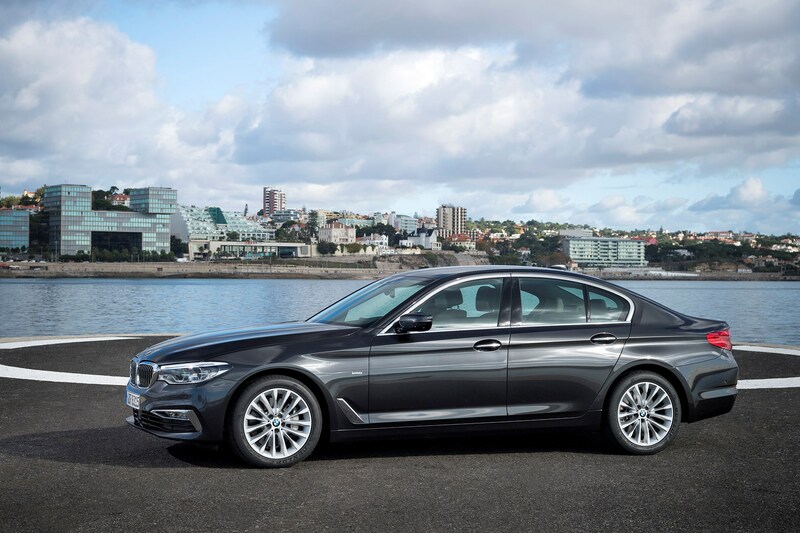 Kicking off the petrol line-up is the 520i, a 2.0-litre four-cylinder unit producing 184hp and 290Nm of torque. This engine is capable of going from 0-62mph in 7.8 seconds and on to a top speed of 146mph. Next up is the 530i, also a 2.0-litre four-cylinder set-up offering 252hp and 350Nm of torque. The 0-62mph sprint is taken care of in 6.2 seconds, and it will reach 155mph. 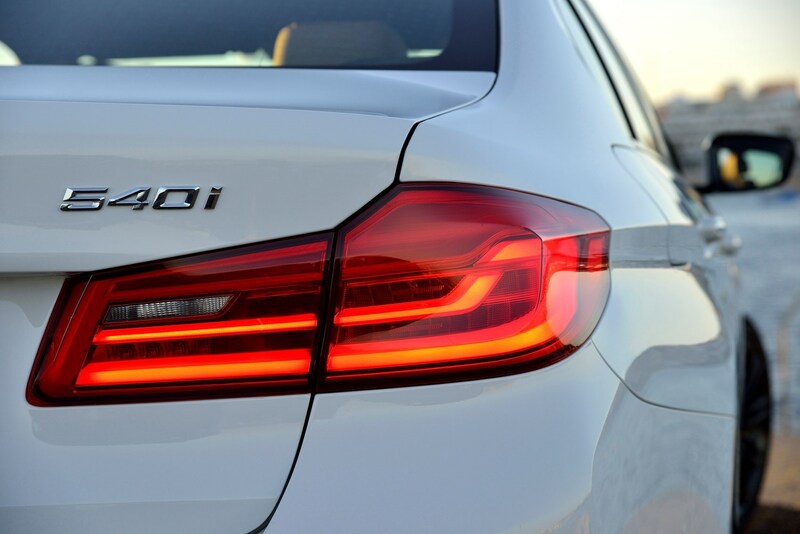 At the top of the regular petrol line-up is the 540i. 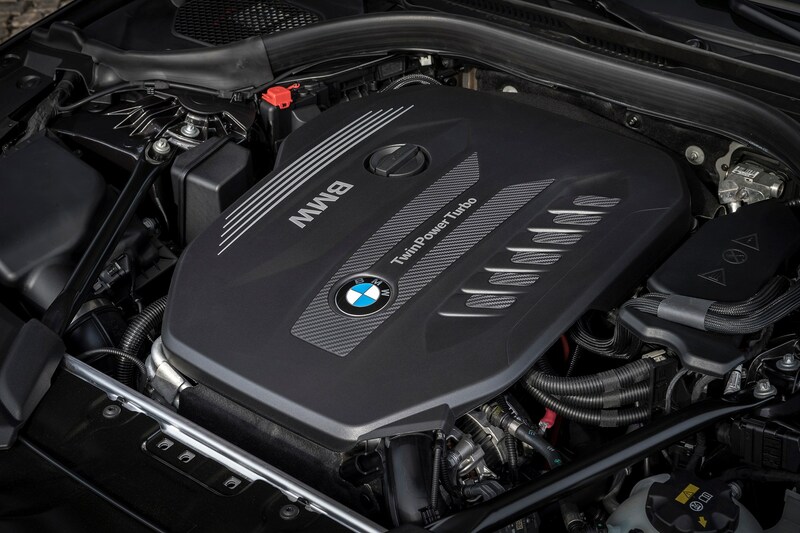 It’s a 340hp 3.0-litre six-cylinder turbo exclusively paired with the xDrive all-wheel drive system to rein in the 450Nm of torque. The 0-62mph sprint takes just 4.8 seconds while top speed is electronically limited to 155mph. Despite the performance on offer, it’s not quite as exciting as you might think, at least in terms of the sound it makes. 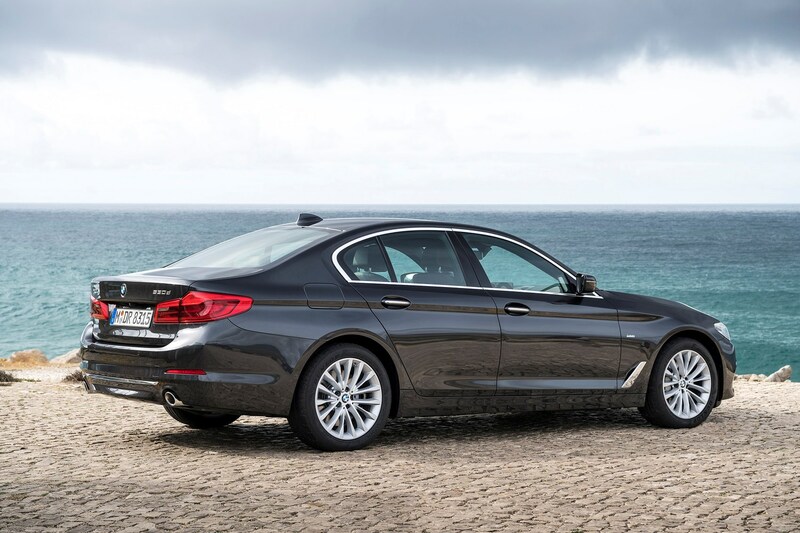 The four-cylinder 520d is a well-known option in the 5 Series range, and historically has sold in huge numbers as the ‘entry-level’ diesel. 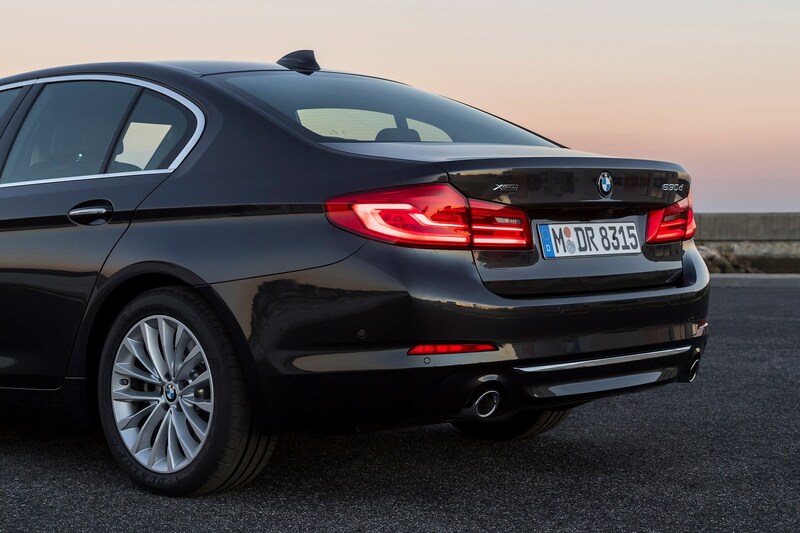 It’s more than adequate for the job for the majority of 5 Series customers. 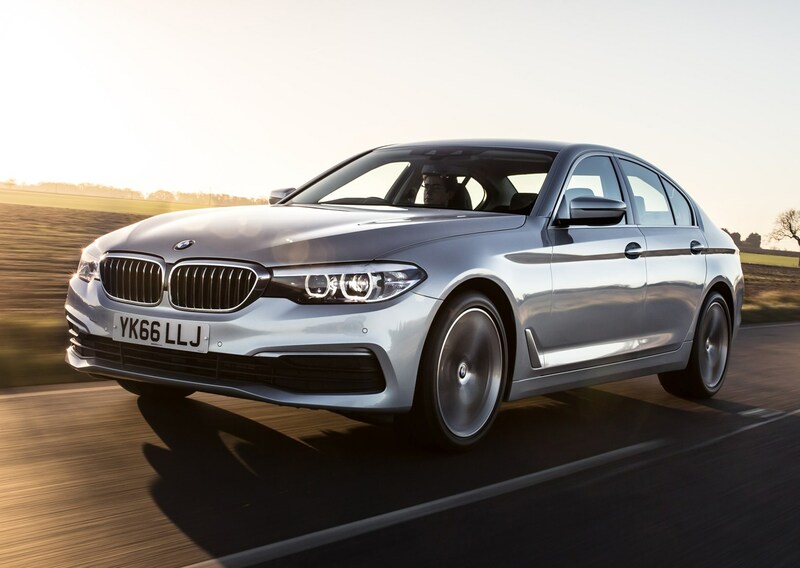 It lacks the smoothness the 530d’s extra pair of cylinders offers, but for most the savings made in purchase and running costs more than make up for this. 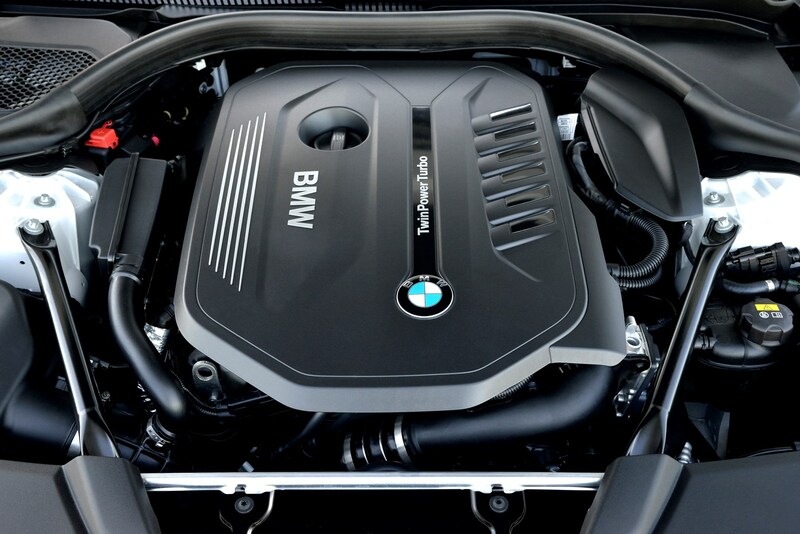 Power is a generous 190hp, while a 400Nm torque figure is more than adequate for use on the motorway. 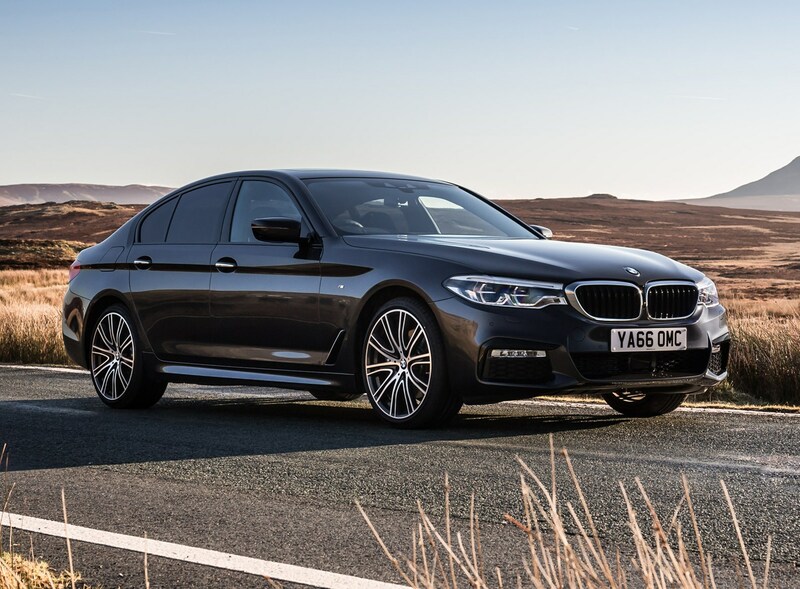 With a 0-62mph time of 7.2 seconds (7.6 seconds with xDrive), it’s hardly what you’d call slow, and the compulsory eight-speed automatic gearbox works almost faultlessly to provide the correct ratio when it’s required. It’s a very smooth combination that just works. 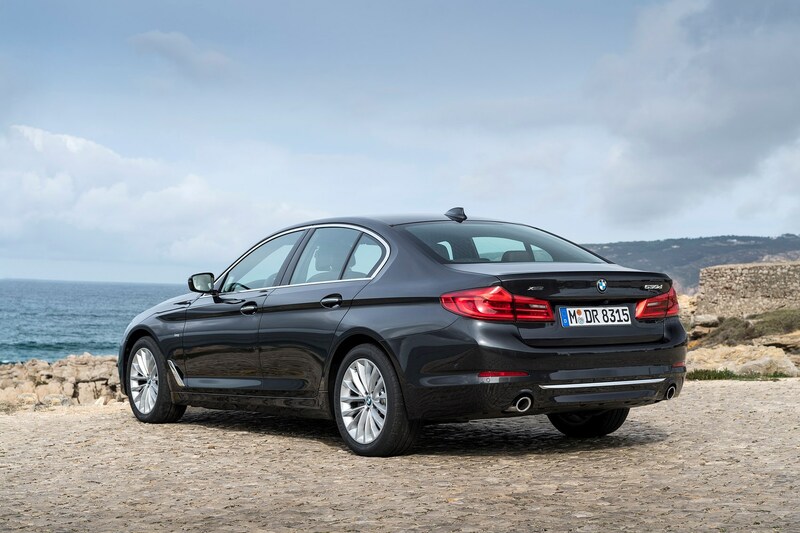 Next in the diesel range is the 525d with 231hp and 500Nm of torque, bridging the gap between the 520d and 530d. It takes just 6.6 seconds to go from 0-62mph, and will reach 155mph at the top end. Curiously, the 265hp 3.0-litre six-cylinder turbodiesel of the 530d is much more satisfying to drive than the 540i petrol. It feels barely any slower, and with 620Nm it packs an even bigger slug of torque, giving you a proper thump in the back whenever you have a sudden need to accelerate hard. Coupled with significantly better fuel economy, and a refined but meaty soundtrack, we’d certainly choose one of these over the 3.0-litre petrol. 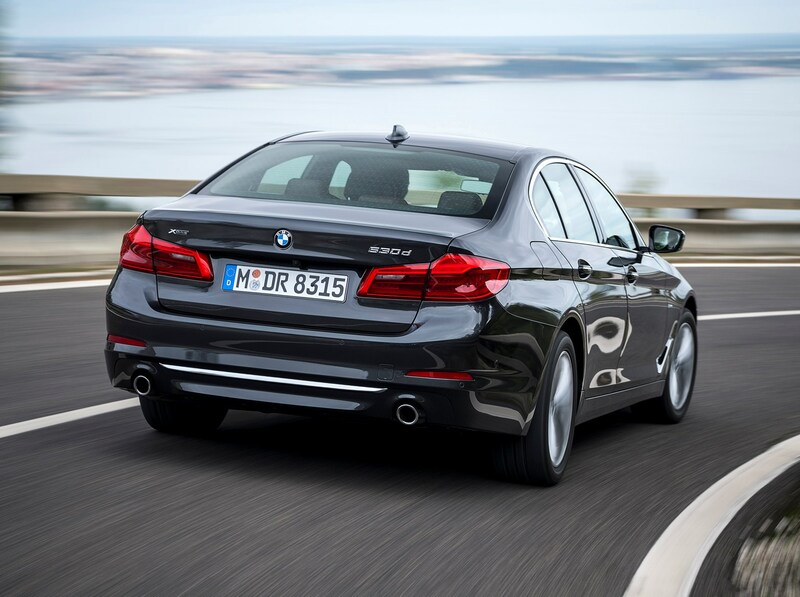 Just 5.4 seconds (or 5.7 seconds without xDrive) are needed for the 0-62mph sprint, and the immense traction from the all-wheel drive system is truly impressive. With xDrive fitted, it makes for an exceptionally quick and reassuring way of driving on all roads, especially in rainy conditions. It’s very difficult to detect the torque being shuffled between the axles in the hunt for grip, making it a very effective car in a range of situations. Top speed is again electronically limited to 155mph. 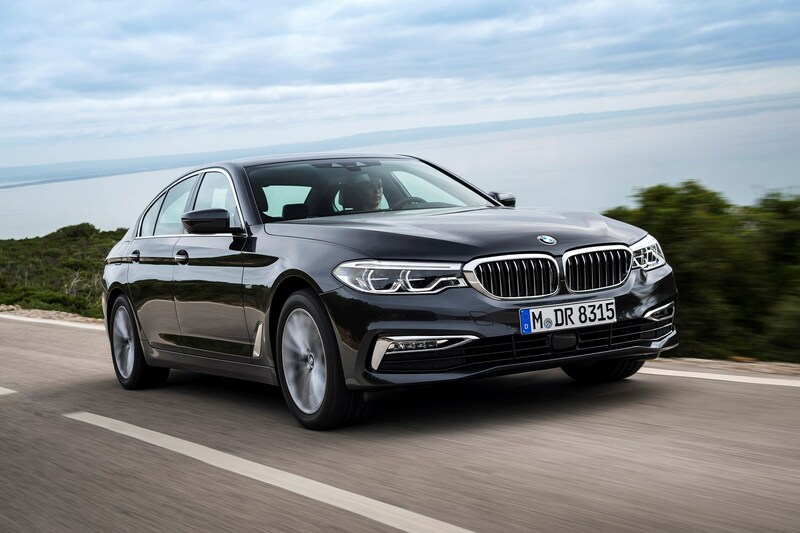 Offering a seemingly impossible combination of frugality and performance, the hybrid 5 Series uses a 2.0-litre four-cylinder petrol engine and an electric motor to channel a combined output of 252hp through the rear wheels. 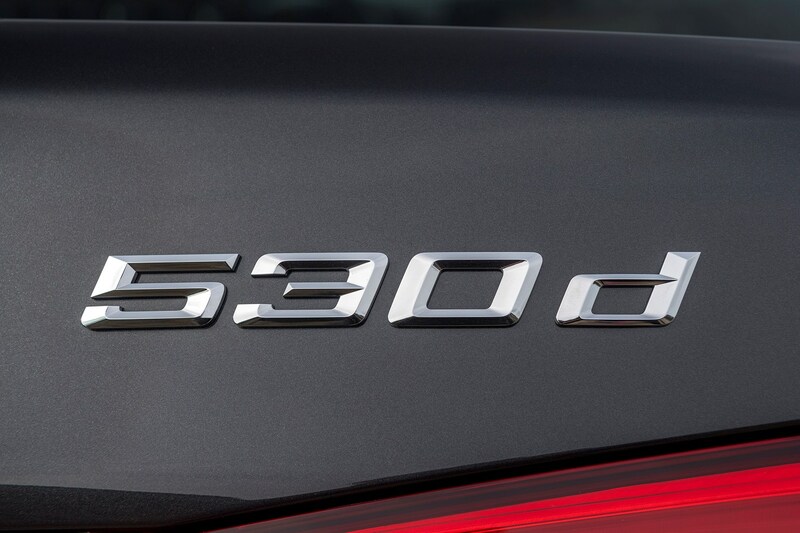 This promises comparable acceleration to the 530i, sprinting from 0-62mph in 6.2 seconds and a 420Nm wedge of torque to make speedy in-gear progress. It’s a convincing alternative to diesel – driven sedately it’s quiet and efficient and hard to tell which power source you’re using. Less smooth throttle inputs seem to take the petrol engine by surprise, however, resulting in a noticeable changeover from electric mode to the conventional powertrain. Charging the battery takes five hours from a normal domestic socket or under three if you have a wallbox, and BMW reckons you can get 29 miles of pure electric driving (or nearly 400 miles combined). Top electric-only speed is 87mph, while in hybrid mode you can expect 146mph. In reality, the battery power won’t last as long as that, as you have to be very conservative with the throttle. 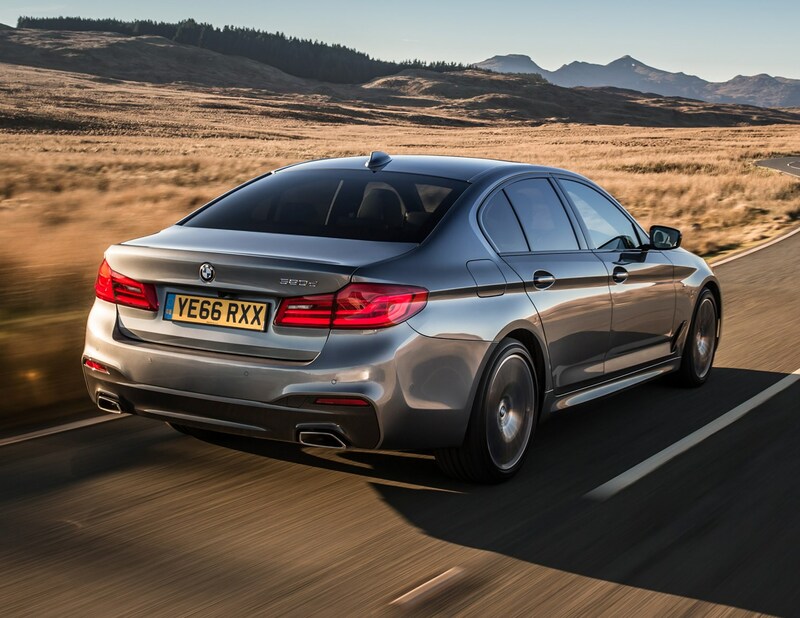 High-performance BMW M5: what’s it like to drive? 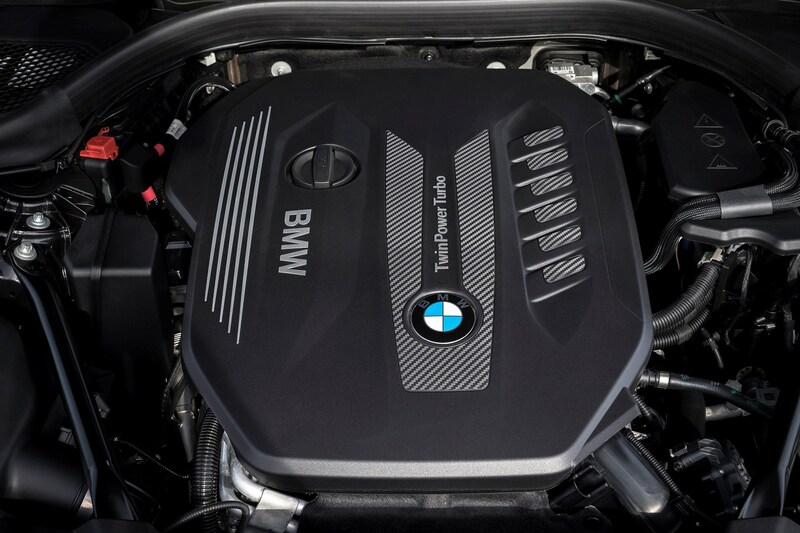 The M5 uses a 4.4-litre twin-turbo V8 petrol engine, producing a not-inconsiderable 600hp and whopping 750Nm of torque. Standard all-wheel drive and an eight-speed automatic gearbox help to put all of that power down on to the road, meaning the 0-62mph time is just 3.4 seconds. 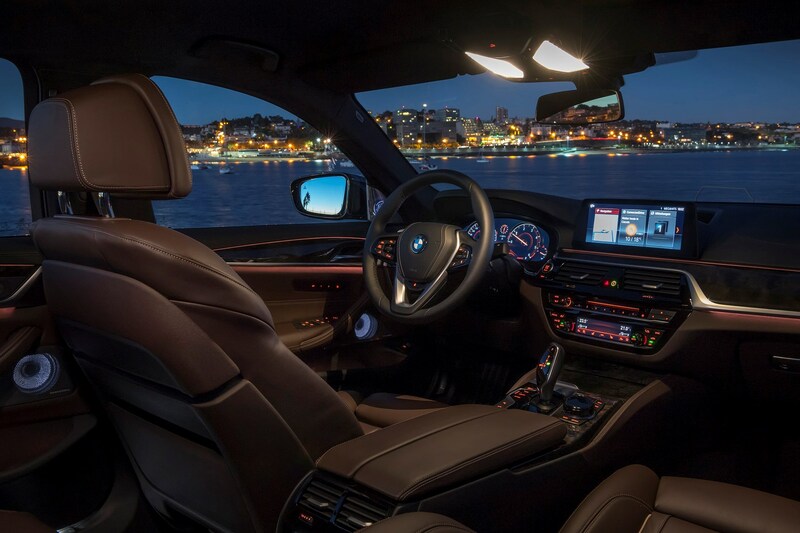 Top speed is electronically-limited to 155mph, but if you go for the M Driver’s package, 190mph is possible. Put simply, the drivetrain in the M5 is brilliant. 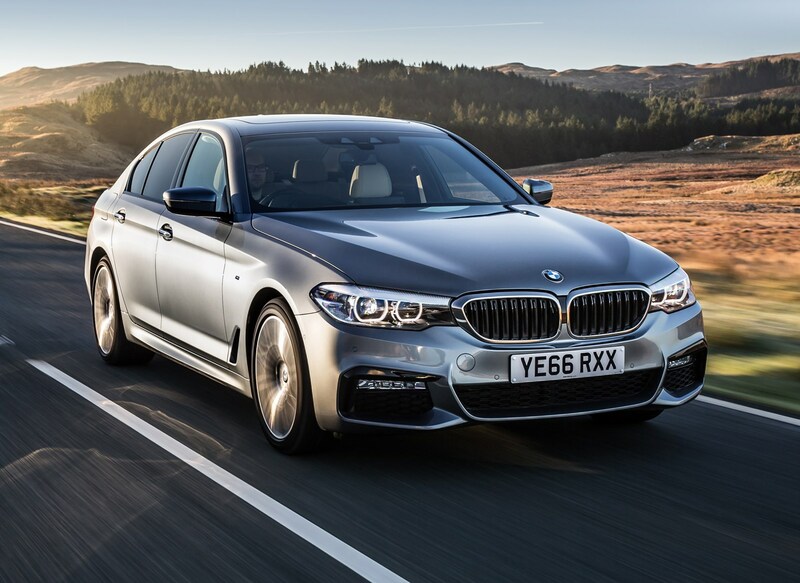 There’s a huge amount of performance on offer from almost anywhere in the rev range, it sounds fantastic – if a little false thanks to its synthesised note in-cabin – and the eight-speed automatic gearbox always seems to be in the correct gear for the road ahead. Its breadth of ability extends to slower driving too, though, with power delivery you can soften using the Comfort drive mode to make for smoother progress for longer journeys. 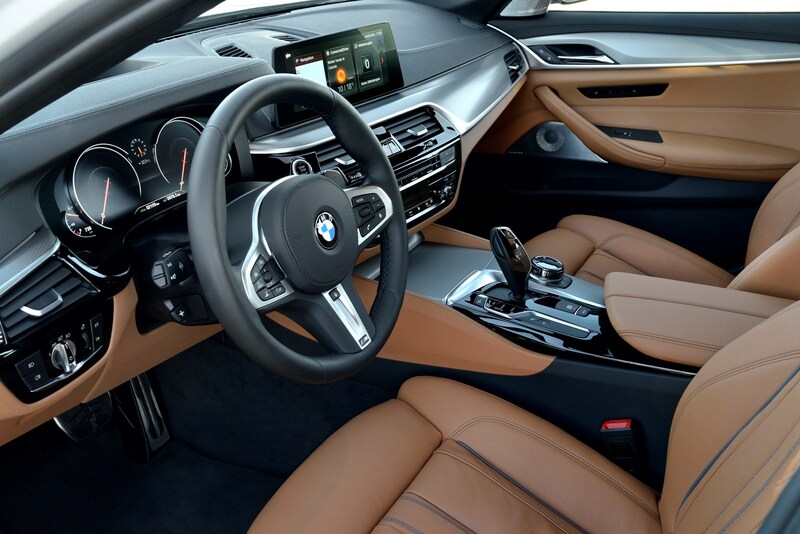 We love the facility to switch between the M5’s character from Comfort instantly on the steering wheel using the configurable M1 and M2 modes, too. This takes a car with a huge amount of adjustment on offer and distils its talents into three easily accessible personalities. 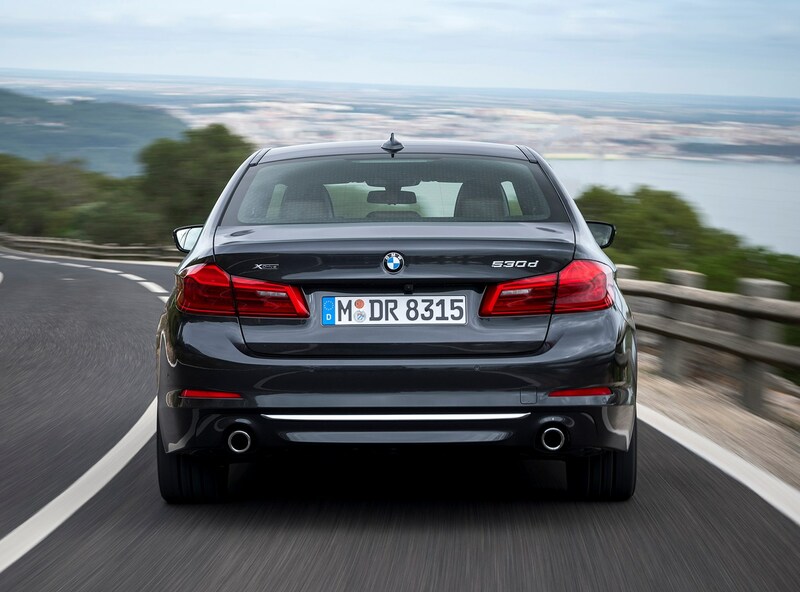 With an extra 25hp, the Competiton cuts the M5's 0-62mph time down to 3.3 seconds and comes with an additional sports exhaust system to make it sound better. The way in which the 5 Series handles depends heavily on what tick (or don’t tick) from the options list. 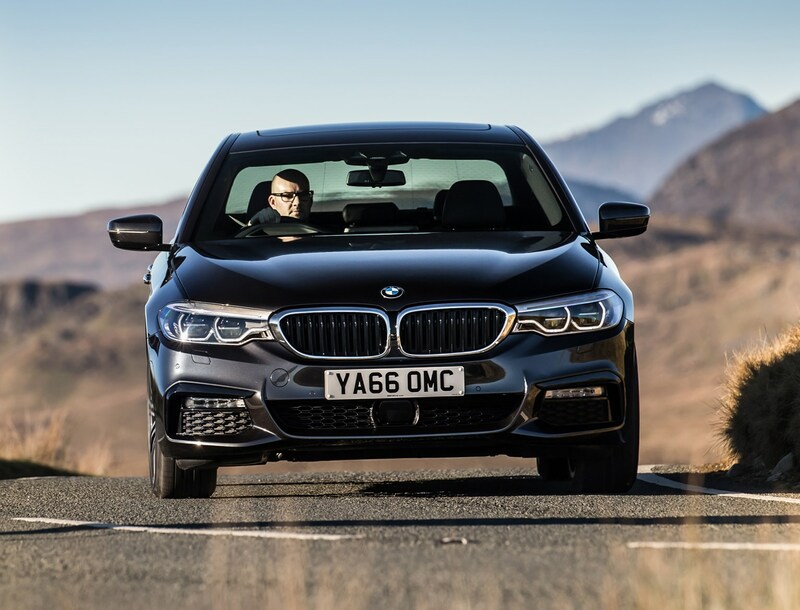 BMWs handle well in their standard set-ups as a general rule, but buyers are able to specify adaptive dampers with a choice of driving modes, four-wheel steering and different suspension settings. 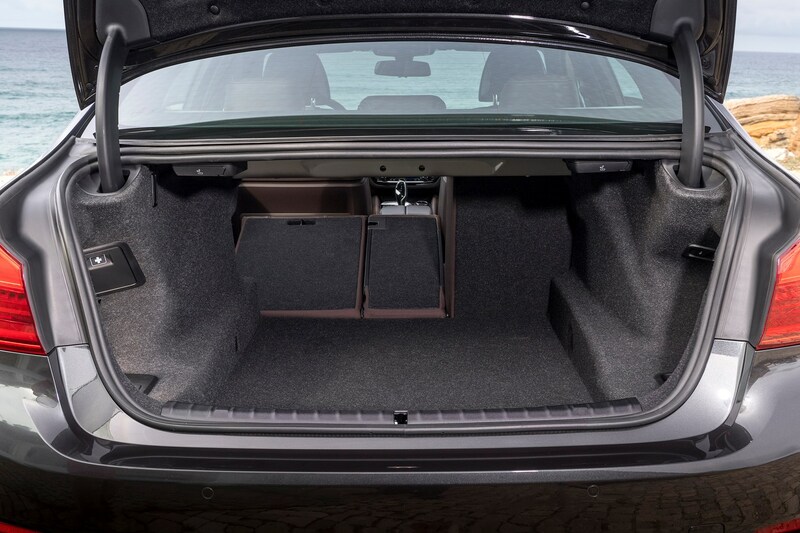 What’s especially impressive about BMW’s VDC adaptive damping system is the degree of flexibility between comfort and sportiness it offers. 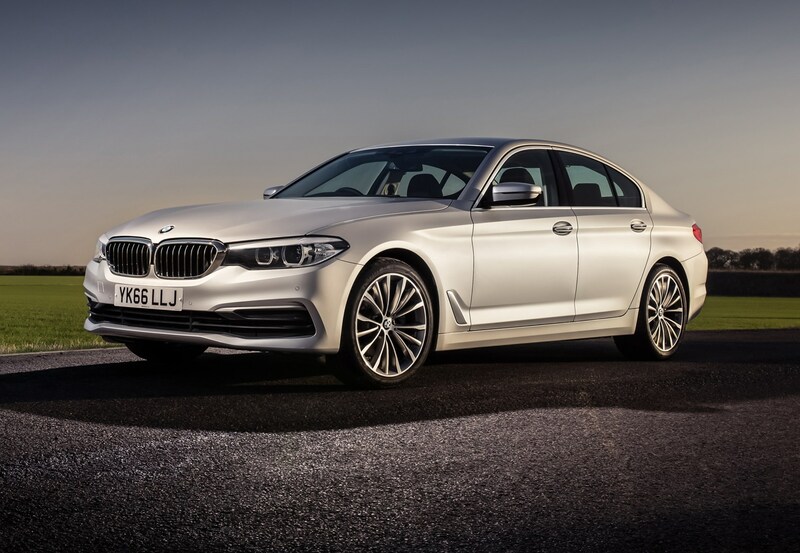 In handling terms this means you no longer have to choose between a car that’s great fun in the corners and a car that’s comfortable on a long journey – especially since there’s an Adaptive setting that instantly changes the character of the 5 Series as soon as it detects the kind of driving you’re doing at that moment. 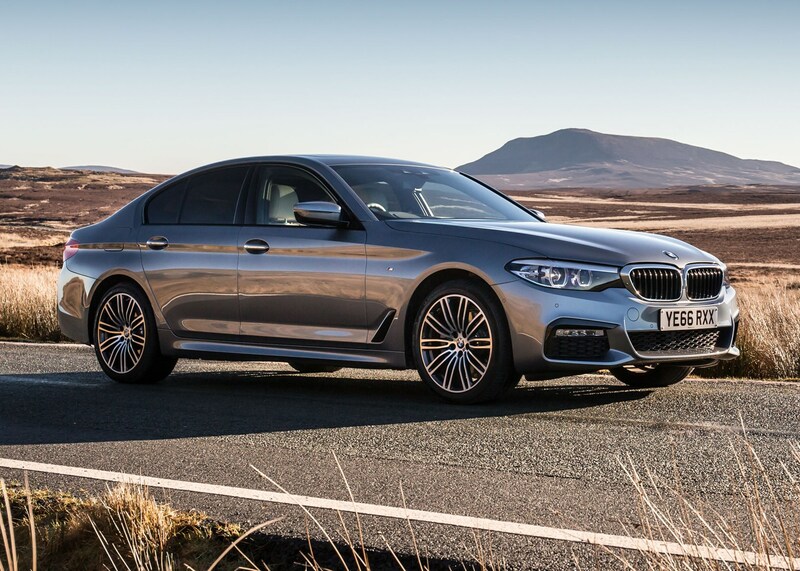 Most of the time you’ll just leave it in its normal Comfort setting, and the car will do its own thing, but the flexibility it offers means the 5 Series is very adaptable depending on the road conditions. 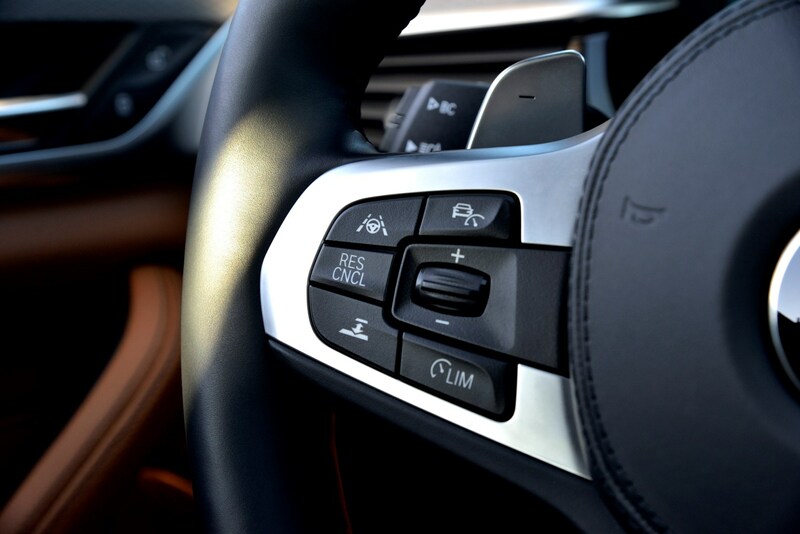 The Integral Active Steering, meanwhile, is designed to make the car turn more quickly at low speeds and feel more stable at high speeds – a trick it achieves by electronically varying the angle of the rear wheels up to three degrees. Yes, the rear wheels steer as well as the fronts. 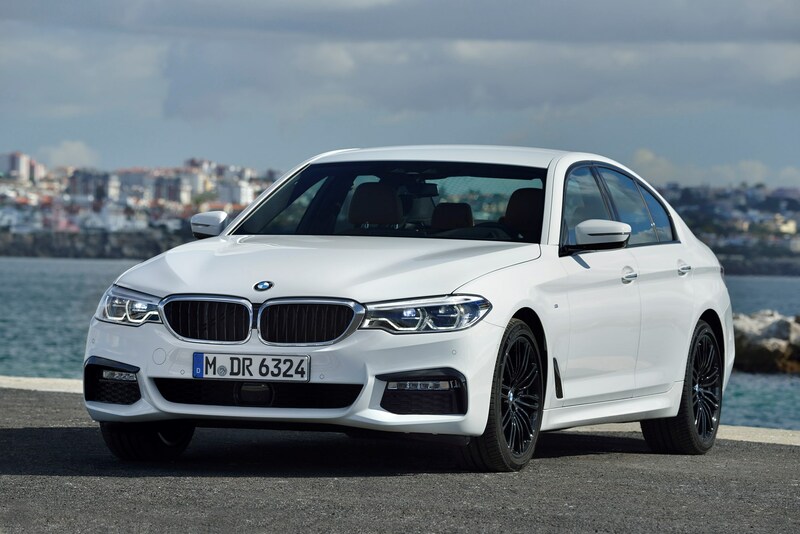 The stunning part about this is not so much that it works in exactly the manner described, but rather that you can’t really detect the changes – the 5 Series continuing simply to feel natural at all times. As a result, so equipped this car absolutely lives up to BMW’s reputation for putting driver enjoyment at the forefront of its products. 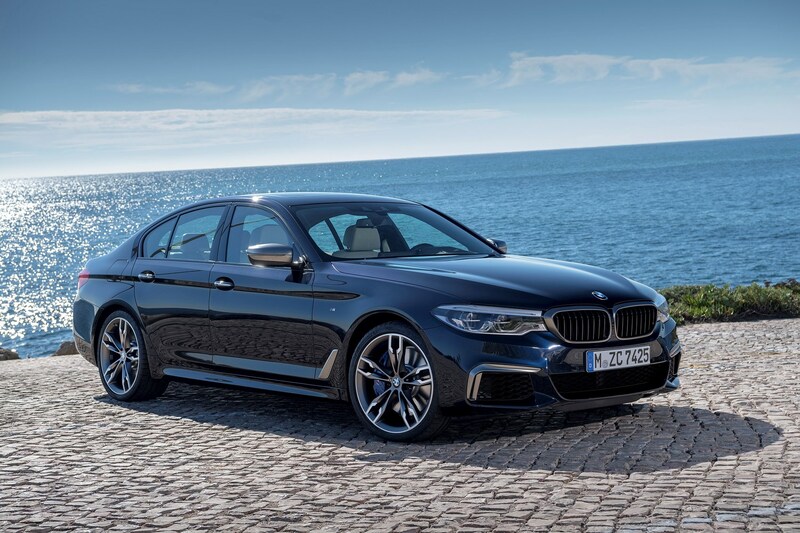 Add in xDrive as well, and you’ve got an all-weather executive express that certainly has the potential to leave many a sports car driver feeling very sorry for themselves. 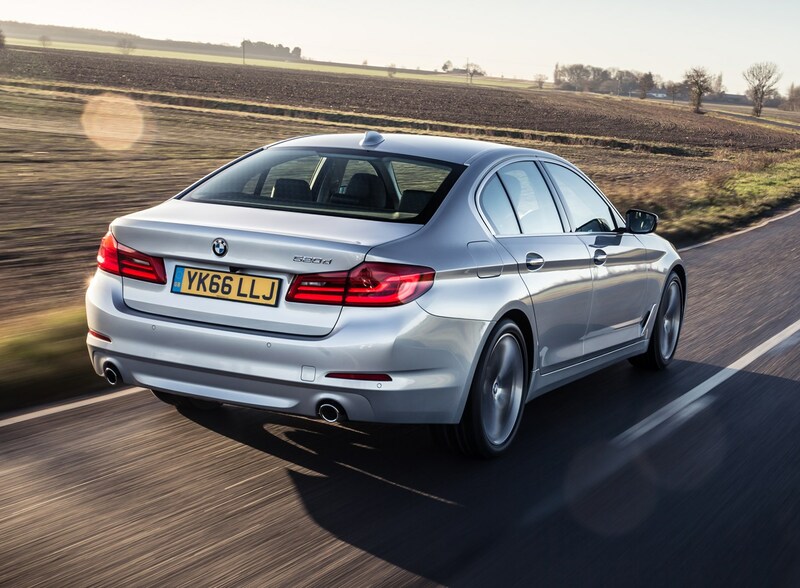 Driven back-to-back, 520d’s handling to be fractionally less involving than the 530d’s – presumably because of the extra weight over the latter car’s nose. That isn’t to say that either car is bad in this respect, but the more powerful model is noticeably more engaging because its front end communicates more about how much grip you’ve got in corners. 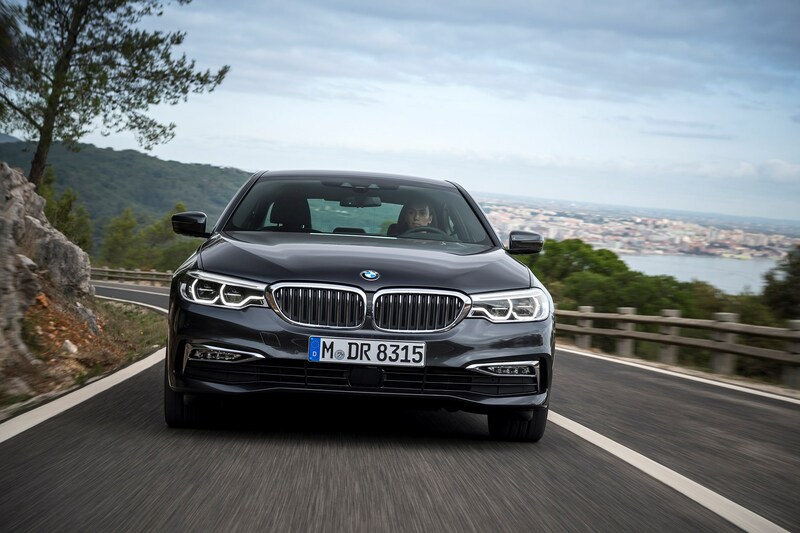 What we can confirm, though, is that all 5 Series models deliver an involving driving experience (if that’s what you’re in the mood for), with communicative steering, a great driving position and impressive body control, but it manages to settle down and be civilised if that’s what you’re looking for instead. 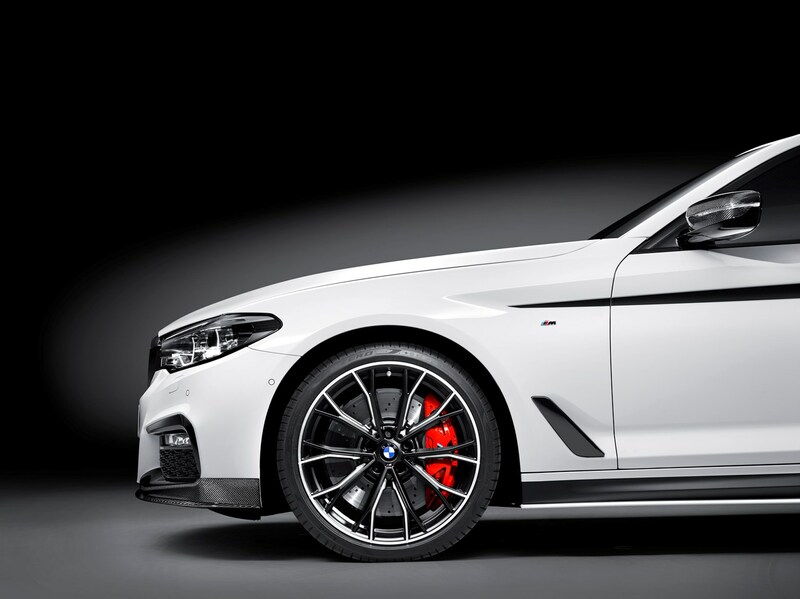 Sportier-looking M Sport trims come with 10mm-lower suspension than SE cars, but even then the ride doesn’t become jarring, and is effective when fitted with the Variable Damper Control system. 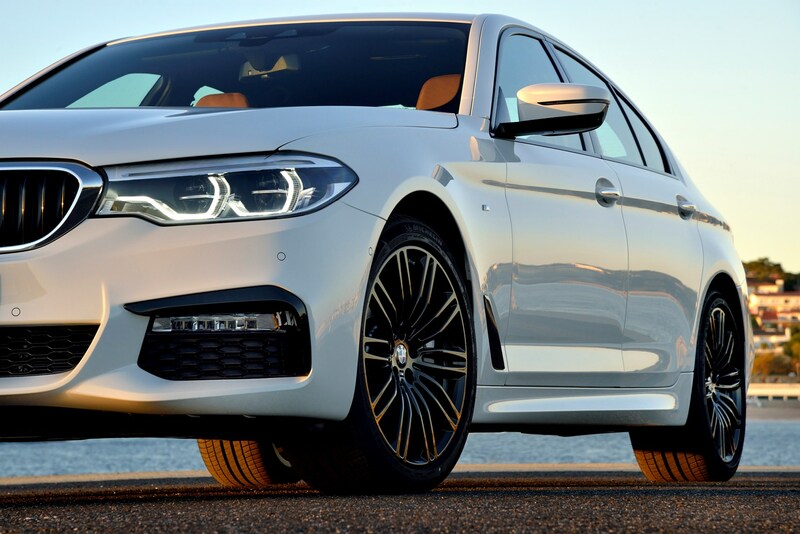 It won’t surprise you to learn that the M5 is by far the best-handling car in the 5 Series line-up, and it’s arguably also among the best in its class. 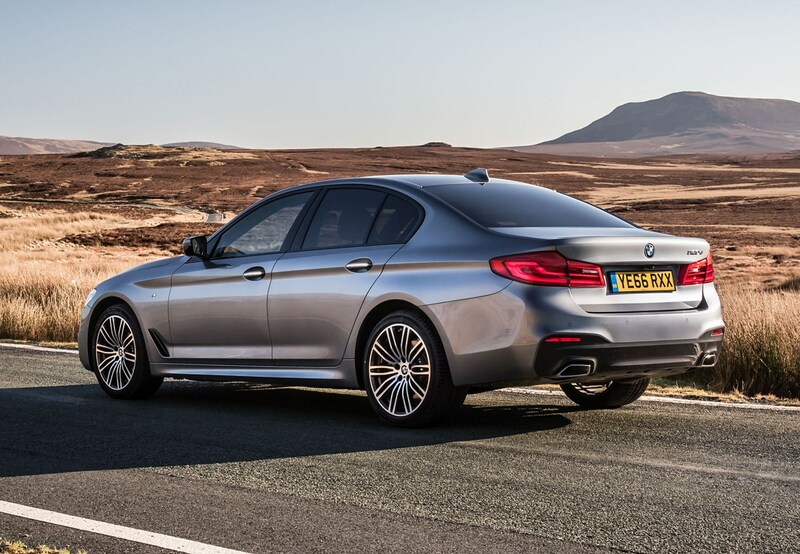 It uses a specific version of BMW’s xDrive all-wheel drive system that can be set to sent engine output to all four corners, or just to the rear axle for purer, more exciting handling. On top of that, there’s an electrically controlled locking rear differential that optimises in-corner traction depending on the drive mode and style of driving currently employed. 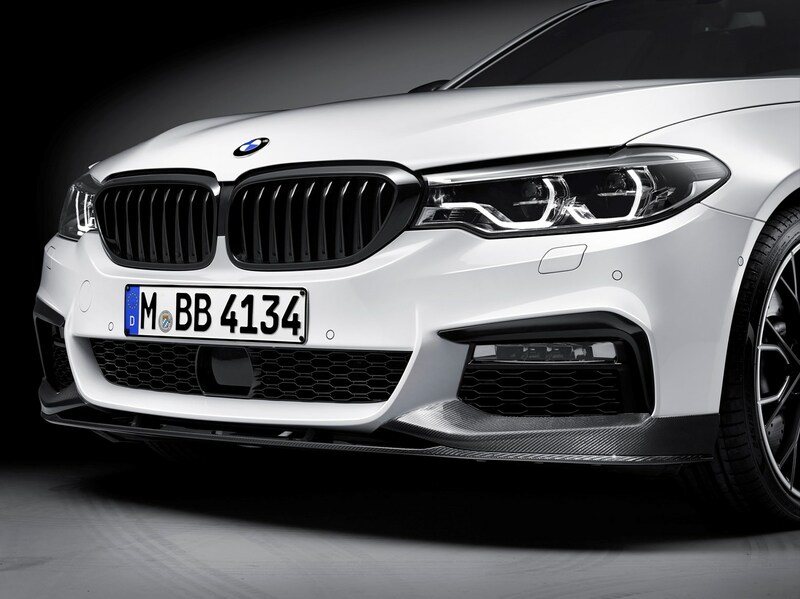 Variable-ratio steering BMW calls Servotronic is on hand to sharpen responses where it matters, while the adaptive dampers are incorporated into the wider handling set-up to provide extra assistance when turning into a bend. This is carried out by stiffening the front outside shock to give the inside more bite when you first turn the steering wheel. The result of all this trickery is an impressive thing to behold. The chassis in effect gets three settings, because there are normal and Sport configurations for all-wheel drive alongside the unruly rear-wheel drive setup that should probably be left for racetrack only, given the huge 750Nm of torque those back tyres have to contend with. But we found it best leaving the M5 in its Sport all-wheel drive setting for road use. You’re then able to turn up the engine and gearbox response and add weight to the steering for thrilling handling performance. The chassis in this mode sends a decent chunk of performance towards the rear end without completely disengaging the front axle, so there’s always a safety net there to catch you if you’re a little over-excitable with the accelerator. In this set-up you’ve got monumental levels of grip before anything exciting happens, though, making it easy to stitch together sweeping bends and make the most of that excellent V8. There's been a fair amount of work the Competition's chassis compared with the normal M5. Stiffer engine mounts, a 7mm ride height drop, specially developed spring and dampers and lightweight 20-inch alloys all change the car's character quite considerably. For the UK, we found the changes a little bit too much. The car has transformed from a useable daily driver to more of a track-focused monster, and in that it's lost some of its appeal. Sure, more is often considered better, but the recipe wasn't broken. We wish BMW hadn't tried to fix it. 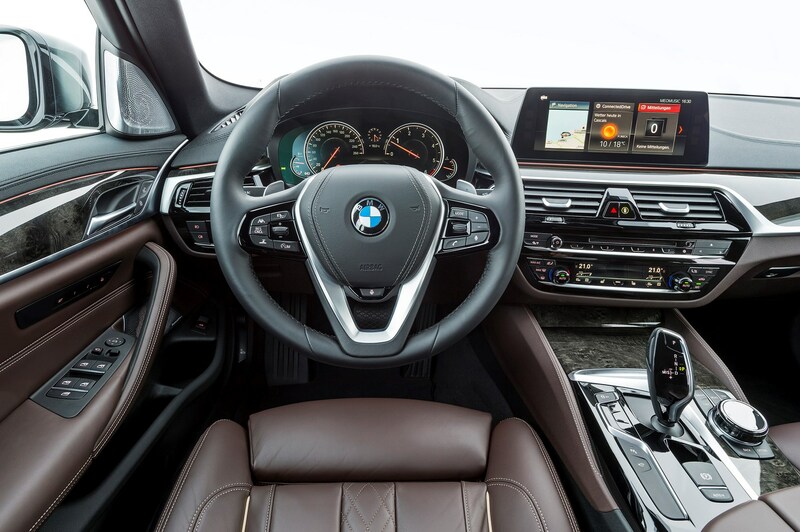 BMW’s traditional driver-orientated interior layout has stepped up a notch with the latest 5 Series, taking inspiration from the more expensive 7 Series luxury saloon. 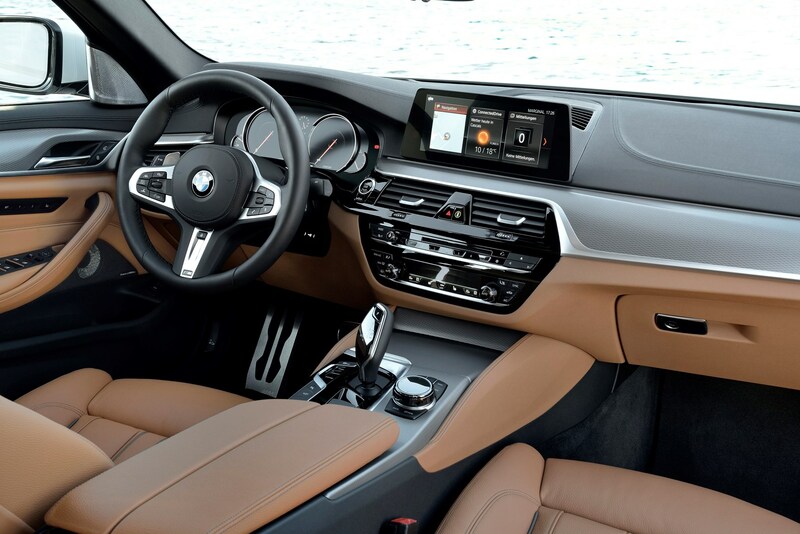 It’s still recognisably a BMW inside, but the newly free-standing central display screen makes it seem more modern, spacious and airy up front, while a significant increase in design intricacy helps give the dashboard a first-class impression of quality without making its features more difficult to use. 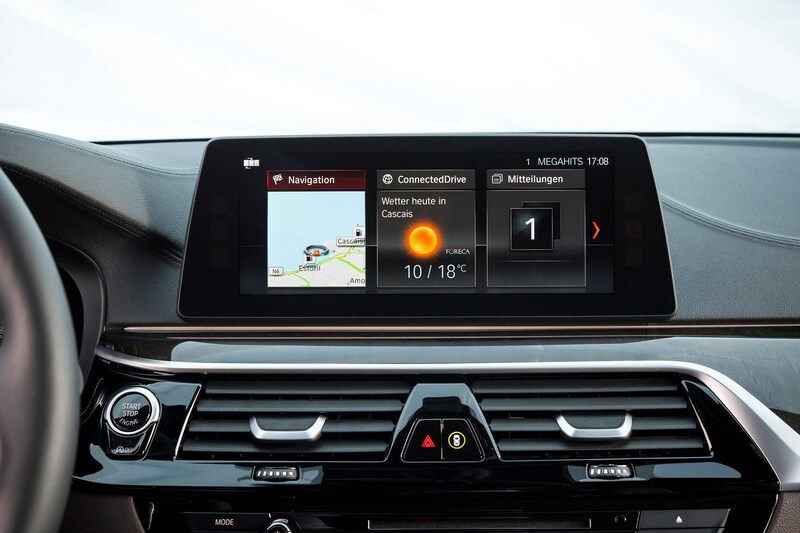 The rotary controller remains the principle – and most intuitive – way of interacting with the iDrive infotainment system. 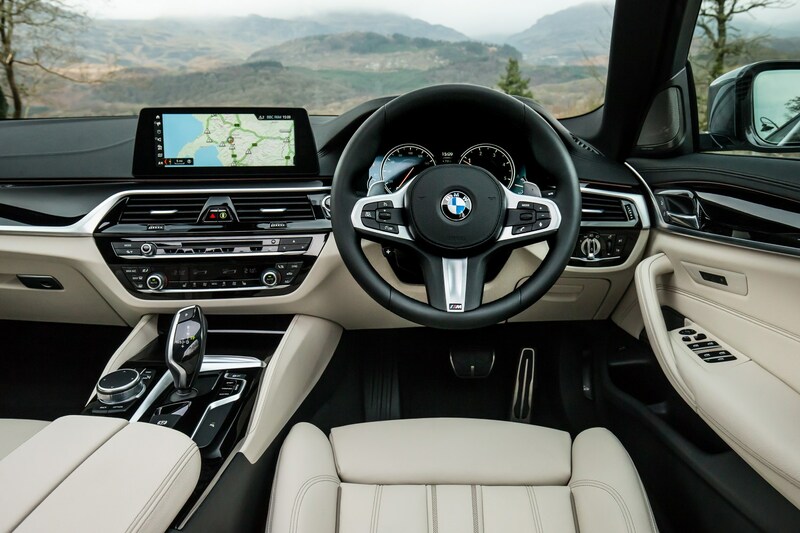 But the software has been redesigned to make it easier to use the optional touchscreen capability, and the 5 Series now offers Gesture Control as well. This has been improved since its introduction in the 7 Series, and now reacts more quickly and with greater consistency to the small number of hand and finger movements it understands, allowing you to do things such as dismiss on-screen notifications and change the volume without touching anything at all. It’s a bit of a gimmick still, though, so we’d probably save the cash for something more useful. It’s still quicker to just turn the volume up or down using the buttons on the steering wheel or the volume knob itself. The (also optional) head-up display is more useful. This projects information onto the lower portion of the windscreen in front of the driver so you no longer have to look away from the road to see – for example – the speed you’re travelling at or the satellite-navigation instructions, and with a 70% larger area it’s now handier than ever. 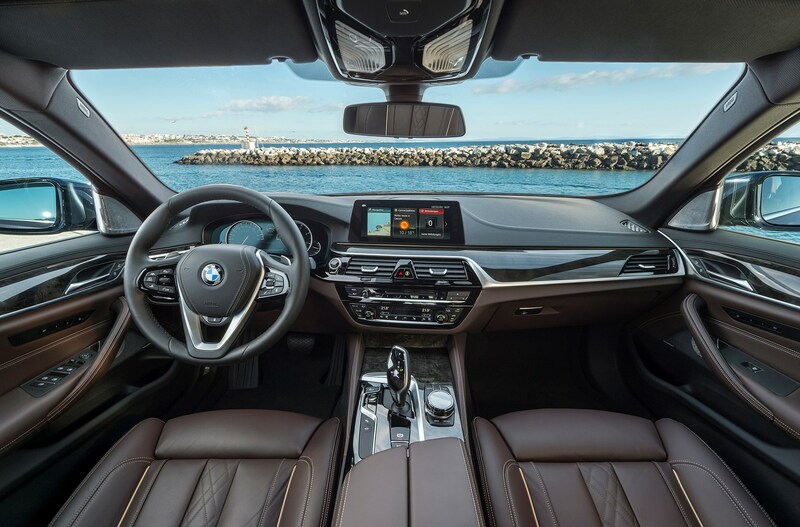 BMW has always been one of the pioneers of this technology, and it shows, with crisp graphics that aren’t too distracting. 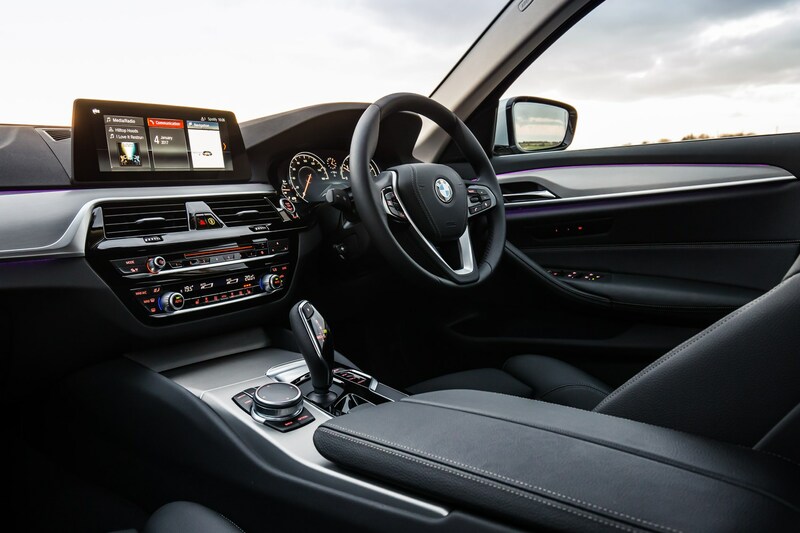 Emphasising the attention to detail BMW is now going to in order to compete with the quality of its rivals’ interiors, some elements of the dashboard in the 5 Series are individually laser scanned so that adjoining pieces can be made to exactly match them – for every individual car. 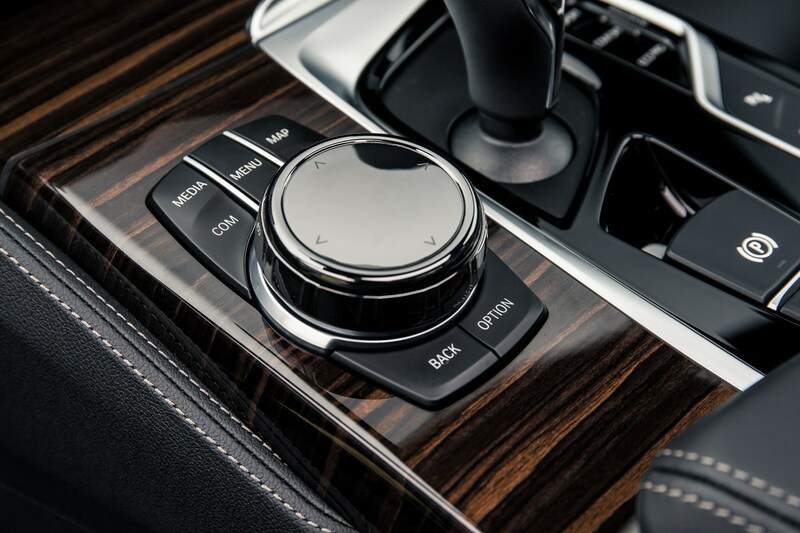 It’s a shame then that the knobs for the climate control feel just a little bit cheap. 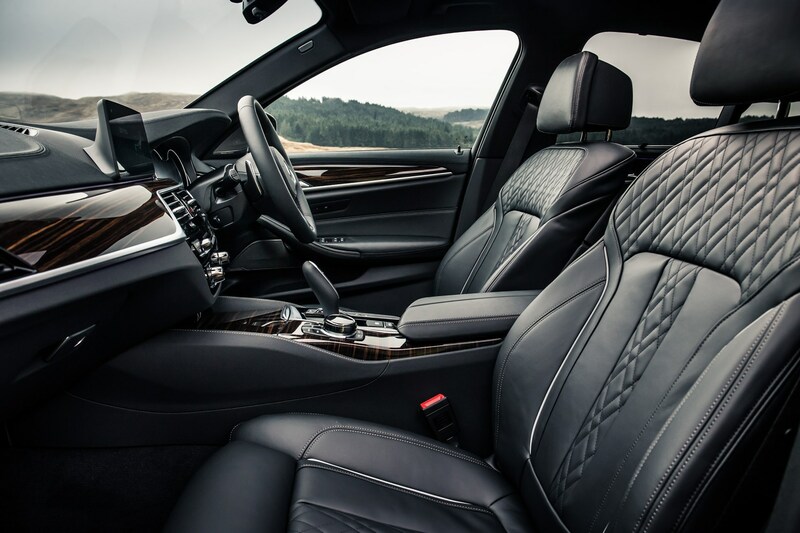 This aside, we have no complaints – while it doesn’t necessarily look as posh as the E-Class inside, it definitely feels more solid than the Merc, but will have some competition in the form of the Audi A6, while the Volvo S90’s simple and stylish interior also takes some beating. Pick the 530e hybrid and you’ll notice a few changes to the instrument cluster – there’s a small secondary dial showing battery range (this looks a bit like a petrol gauge) and a remodelled rev counter. On one side of this dial there is a charge zone to display when the batteries are being topped up, and the other shows how much power (both electric and petrol) you have in reserve, related to how flat your right foot is. Floor it and the needle rushes past the 40% mark denoting the maximum amount of electric drive available, and the petrol engine will start up. Using this gauge it’s possible to keep the 530e in all-electric mode without firing up the conventional motor. 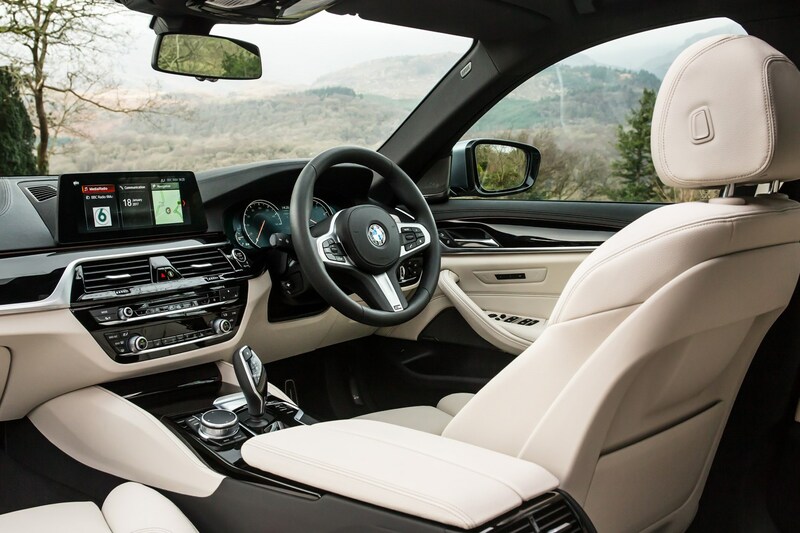 As you’d expect from a range-topping M car, the M5 has a lot of kit and high-quality parts for its interior. 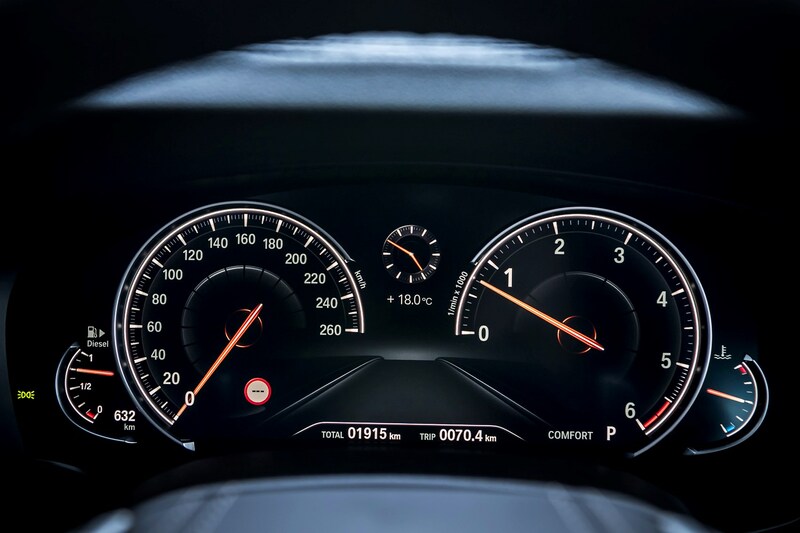 There’s a specially configured instrument display, showing parameters such as a gearshift indicator for optimum performance, all-wheel drive and adaptive damper settings, and drive mode information. This information can also be projected onto the windscreen with an optional head-up display, though in some low-light conditions it’s so busy you can barely see what’s going on on the road in front of the car. 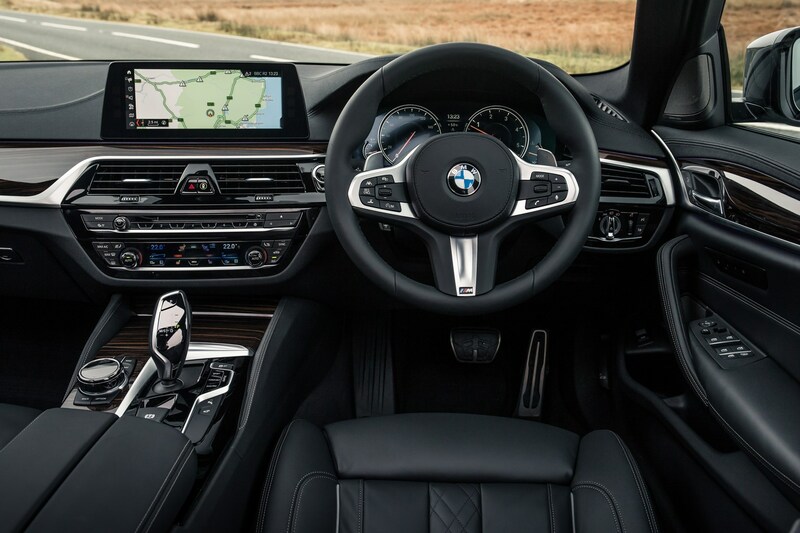 An M Sport multifunction steering wheel can be used to control the multimedia system but also features M1 and M2 buttons adjacent to the shift paddles, which allow the driver to switch to a pair of pre-configurable drive modes instantly. This handy feature means the M5 can be instantly switch between an all-wheel drive long-distance cruising machine and a rear-wheel drive, traction-limited track-ready monster. 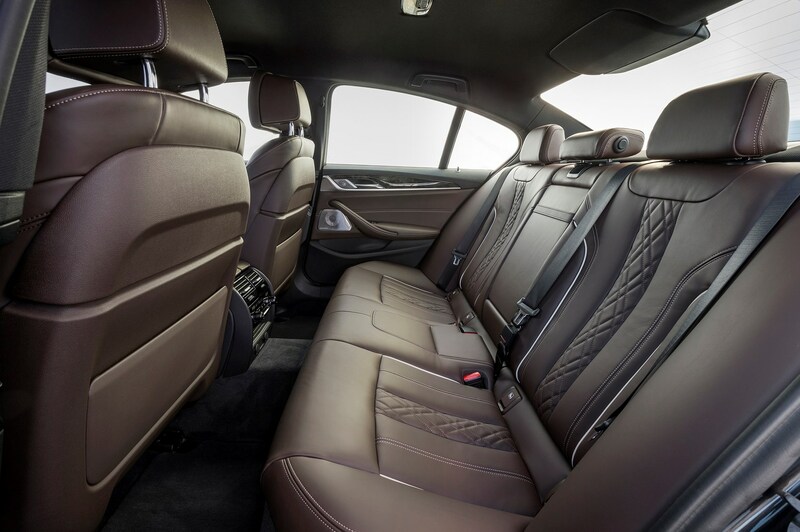 The front seats are electrically adjustable sports items finished in fine grain leather. Our only slight criticism is the driving position, which feels a touch too high to us, resulting in occasionally feeling like you’re sat on the M5, rather than inside it. This only becomes evident when you’re driving rather too quickly for most situations, though. 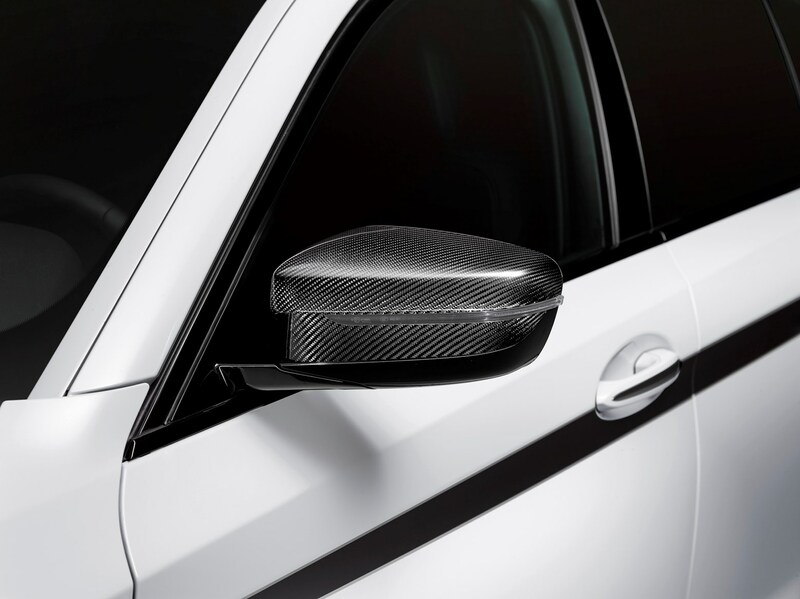 The M5 Competition's cabin benefits from added carbonfibre trim, but not a huge amount else. Despite being a pricey option, the flexibility and comfort offered by the Variable Damper Control system makes it well worth considering. 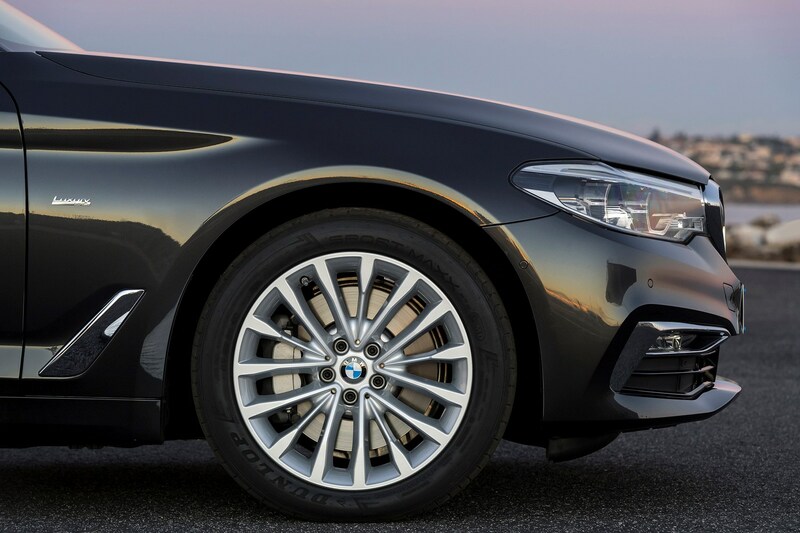 Paired with 18-inch wheels (and smaller 17-inch wheels are standard on SE) the ride quality is exceptional. 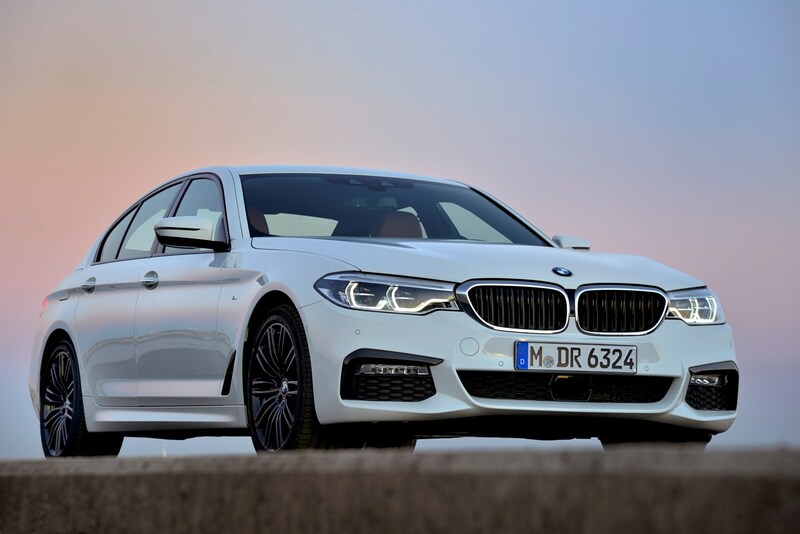 This is a big step forward over the preceding generation of 5 Series, and doesn’t even effect larger-wheeled models as much as you might think. 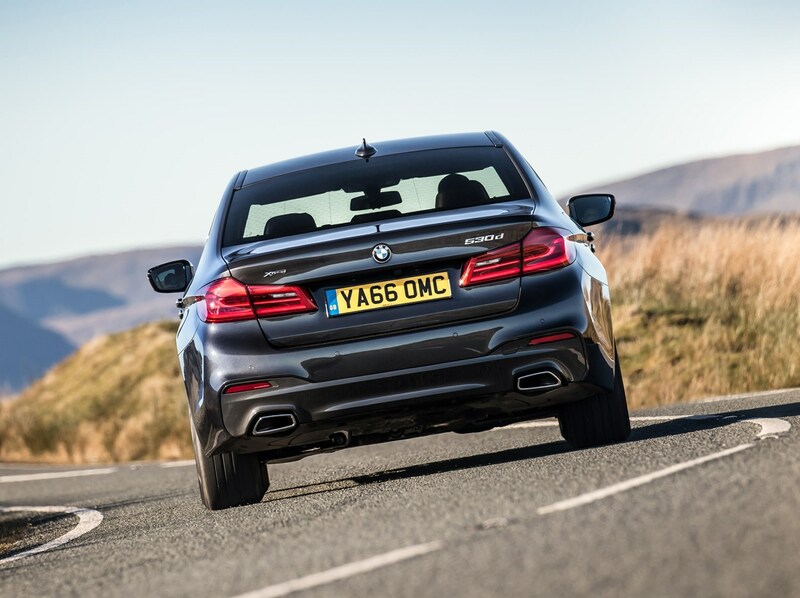 It does get a bit thumpier over bad surfaces if you go up to 19-inch wheels; however, compared with the tinny sensations you get from the latest Mercedes E-Class over lumps and bumps, the BMW always feels reassuringly solid and substantial. 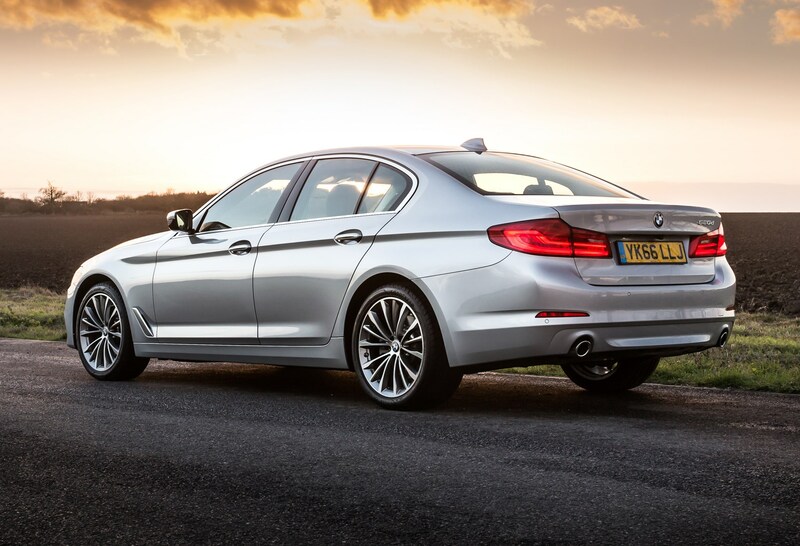 In fact, the 5 Series is a soothing long-distance cruiser all round. 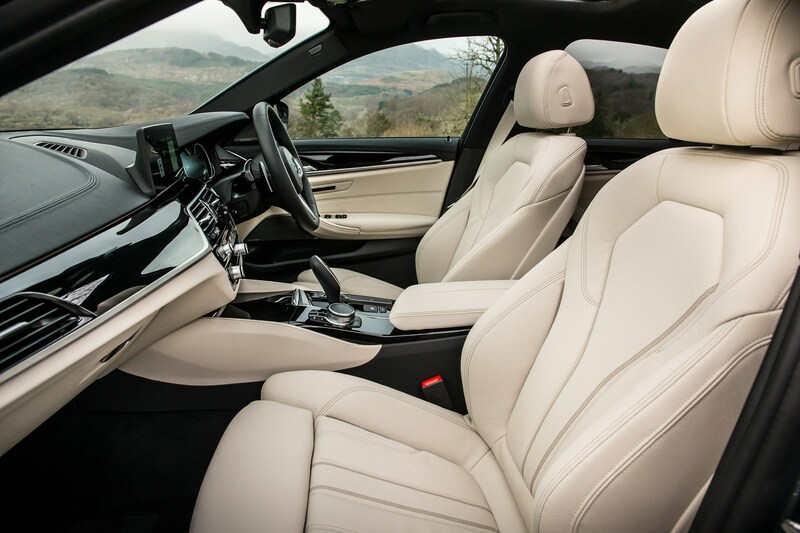 The seats are very comfy, with lots of adjustment – and an optional massaging function that actually feels like it’s doing you some good – while the straight-line stability makes it a relaxing partner for lengthy motorway journeys. Refinement is also a strong point, with zero vibrations in the cabin and just the right amount of engine noise to remind you that you’re driving a car from a sporty brand. 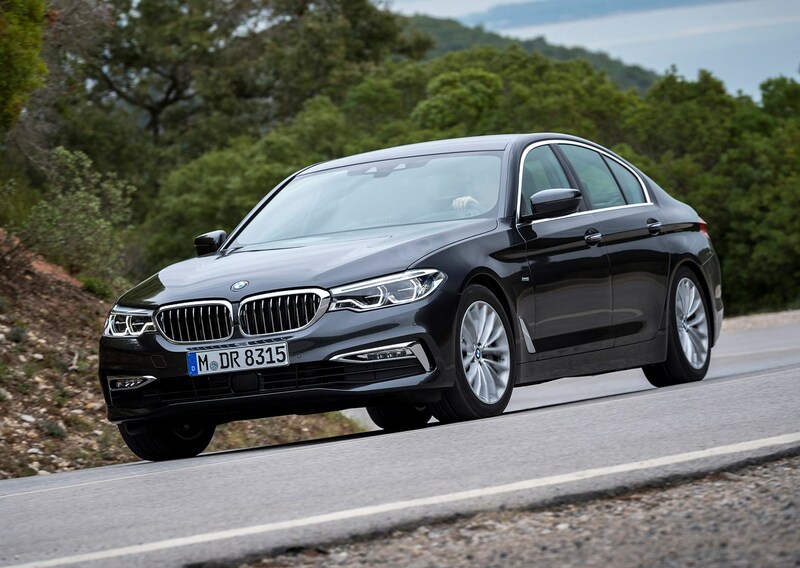 While the 530e hybrid is whisper-quiet when operating in all-electric mode, the four-cylinder petrol engine gets a little noisy and coarse when pushed hard. What’s more, the build quality is such that it suggests the 5 Series will continue to feel this good for a long time to come. 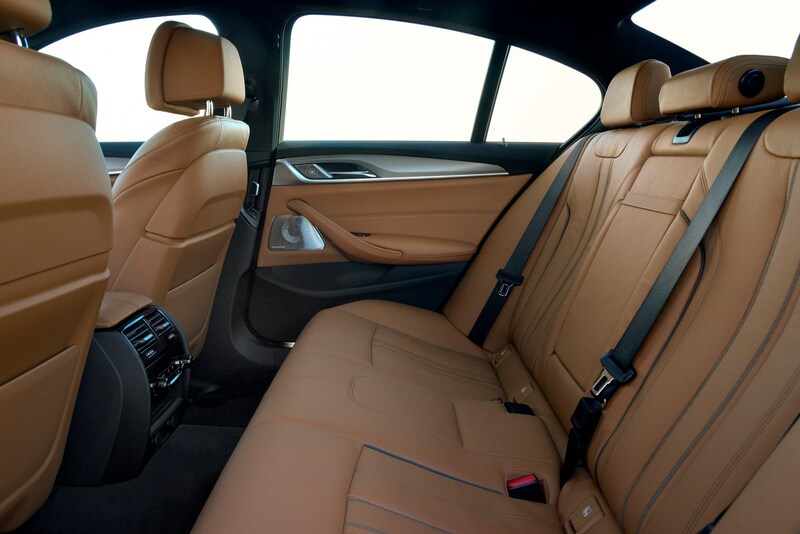 BMW M5: is it comfortable? 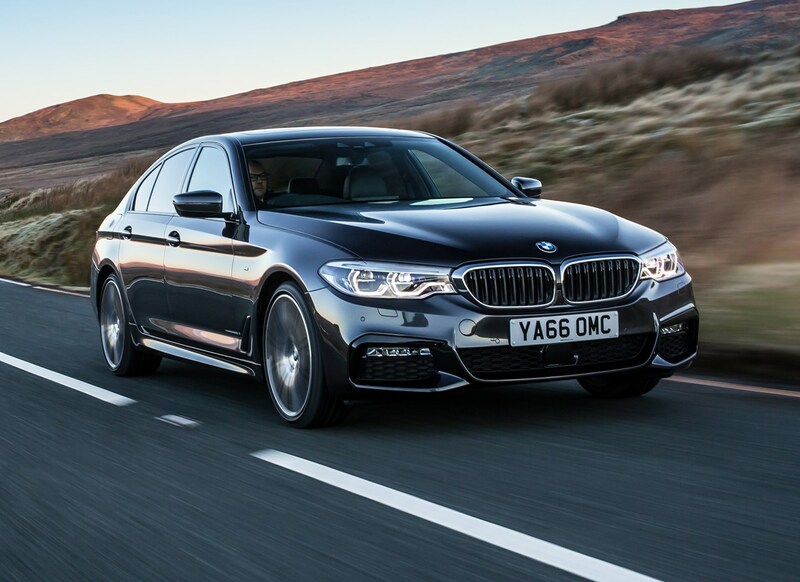 Given its startling performance, the M5 surprised us with just how comfortable it can be in full cruising specification and the dampers turned down to Comfort. It’s built for long-distance driving as well as those days when you’re on your favourite road and feel like dialling the speed up a little. Of course, switch those dampers into Sport or Sport Plus modes and things firm up considerably, with an almost eradication of bodyroll at the expense of sharper bumps jolting through the car. The M5 Competition is a harsher, less forgiving beast all around. If you're after comfort, it's best avoided.